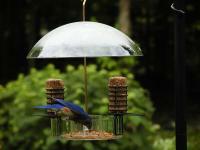 If you want to see all the birds at your feeder, invest in a Fly-Thru feeder. 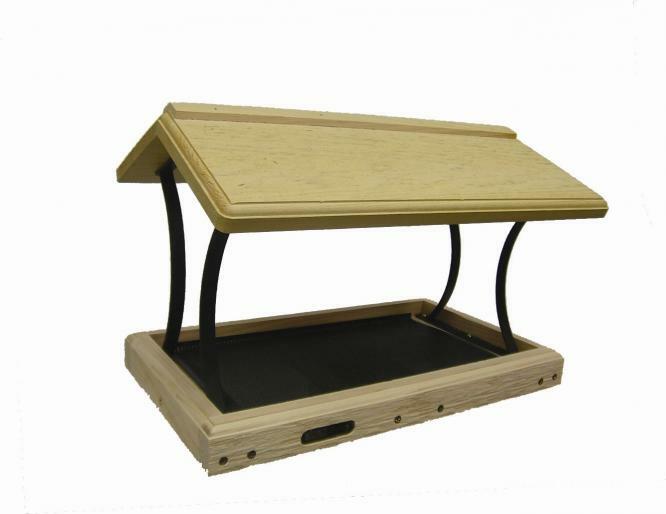 The beauty of these feeders is that there are no obstacles in the way and you will not miss any of the action. 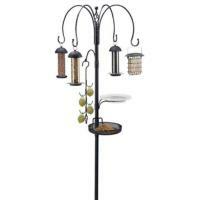 Attracts a wide variety of birds. Natural cedar. Removable seed tray keeps the seed and feed dry and makes it easy for clean out. Attach to a 1" round pole with our mounting flange #1202 - Sold separate. The birds like the feeder a lot.